The customers of today are on the lookout for more interactive content. They want content which will be truly useful for them. They don’t like being flooded with information because of two reasons – 1) they don’t have the time for it and 2) they don’t require all that data. The need of the hour is interactive content and that is where the role of five year old New York based Outgrow comes into play. Founded by Pratham Mittal and Randy Rayess, the company offers content that places customers first and makes them an active participant. The company’s platform is a space where clients (large or small) can create their personalized interactive content which include calculators and quizzes that help them collect necessary information from their customers. In this manner, Outgrow enables various businesses to make new generation tools that are much better than the conventional ones. The main aim of Outgrow is to add value to the customer’s brand. Pratham Mittal is of the opinion that interactive content through platforms like Outgrow will prove beneficial for those companies that may not have huge staff or resources. The company mainly works with small and medium-sized businesses who can make use of the interactive platform to not only communicate with potential clients but also further their business. Outgrow has a variety of tools at hand to boost the marketing strategies of companies. These include numerical calculators, outcome quizzes and graded quizzes. These calculators and quizzes serve the purpose better than common surveys as they are considered more beneficial by customers. The general feeling about surveys is that they are mostly one-sided and offer nothing in return. But quizzes created with Outgrow are much better and unique. 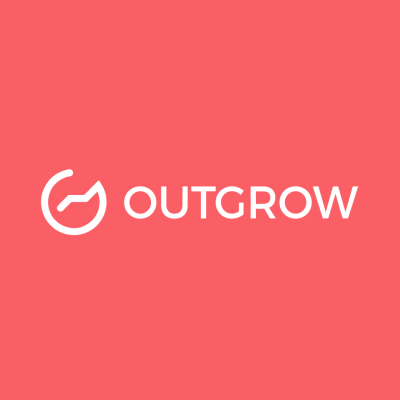 To read a complete list of Outgrow features please visit Outgrow.co Features. Calculators are used when one uses a formula to show a numerical result at the end. It begins by the user coming to a homepage with a particular question. If he likes the homepage, he will move forward and then browse through different options. This process is very simple as it takes very little time and can be done with the help of the mouse. Depending on the answers he chooses he can view his results real time and then make his final decision. Some examples of calculators include VenturePact Mobile App Cost Calculator, Mortgage Loan Calculator, Marketing ROI Calculator. Graded quizzes are mostly used for assessment purposes. The quiz opens with an eye catching title and then the questions. Publish the questions in the Outgrow editor and then put out the options. After the questions and options are ready, design a wacky background for the quiz to keep users happy. Graded quizzes must be a reflection of the brand and should be pleasing to the eye. One can use a catchy title, GIFs to attract the user. First set up the welcome screen. After customizing the first screen, add the quiz title. You can create a headline, a sub-headline and a lead generation. Then you can edit the color, font and other details. Then you start creating your questions and the subsequent answer choices. Then map the options to all social media networks. You have the option for single as well multiple questions. The final outcome section gives one the option of customizing the outcome. You can generate more than one outcome for the quiz. Mass Appeal: People, in general, are not happy filling up simple forms or signing up to the mailing list. They are, therefore not going to participate in polls willingly. This is where the benefit of opting for Outgrow comes into play. The interactive quizzes and calculators at Outgrow appeal a lot to the users. Highly Interactive: Outgrow has highly interactive methods of getting people to open up to brands and their products. Attractive templates: The different templates of Outgrow attract the viewer and is therefore a great way of getting solid leads and knowing what people want. Advanced marketing: Outgrow also helps companies with highly advanced marketing techniques, which adds value to their brand. The forms used at Outgrow use photos and logos and this helps bring in more users to express their opinion. Not An Easy Design: The negatives, if any, of Outgrow include that it is not designed for the standard format so it is not so easy to use. You Can’t Force People: Another minus point is that you can’t get people to subscribe to your company mails with the help of Outgrow platform. But the pros definitely outweigh the cons and Outgrow is a tool for the future. What really works for Outgrow is that how interactive and user-friendly the platform is. The calculators, graded quizzes and outcome quizzes are very helpful for brands to bring in new traffic and facilitate better customer interaction through custom built prices, savings/RO calculators. The tool is extremely brand friendly and we give it a thumbs-up! Posted August 22nd, 2018 in Content. Tagged: calculator, customer service, interactive, quiz.